I like to keep organised when I’m out and about. Fossil’s classically chic Sydney Zip Clutch*, from Bagable, is perfect popping in my bag and keeping my cash, cards and piles of receipts safe and sound. 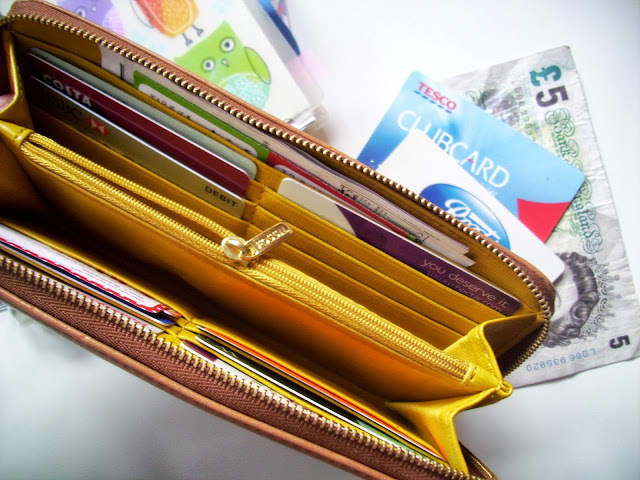 There are plenty of card slots and compartments to keep all my bits and bobs nice and tidy. It’s the perfect sized purse for me and fits like a dream in my trusty vintage bag. The camel leather and gold stamped detail makes this purse feel luxurious and a bit special. I chose this simple but timeless design as I know it will last me a while. I love that there’s a splash of bright colour when you open it up – all the other colours options have contrasting cotton twill linings too. 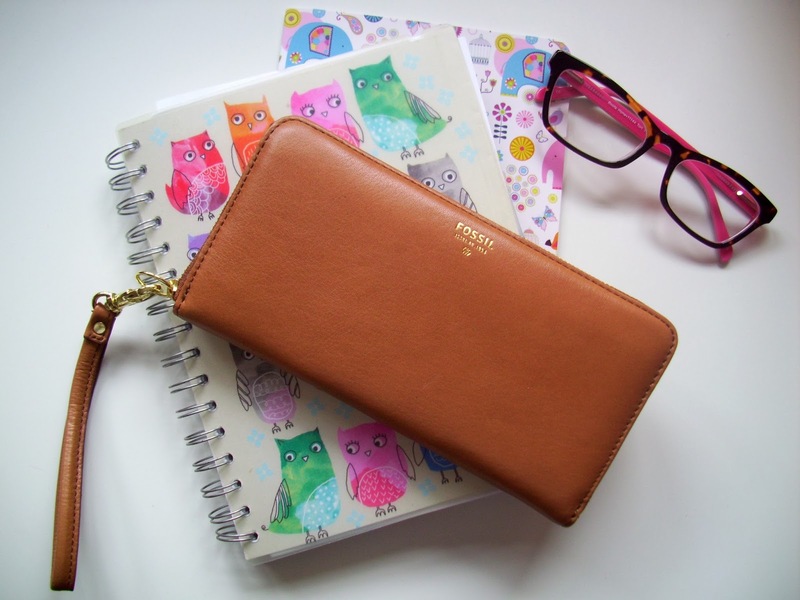 Among other brands such as Kipling and Nica, Bagable stock more of Fossil’s sophisticated Sydney collection. I love that you can mix and match the different bags and purses to create your own personalised look. FYI, Father Christmas - I’ve got my eye on the Sydney Satchel Handbag! Very fancy, I love the yellow interior! I'm always jonesing for a purse like this but I'm attached to displaying silly pictures. This is the perfect purse for me, it looks like it's just the right size and holds all the right things! I always need plenty of card holders haha.